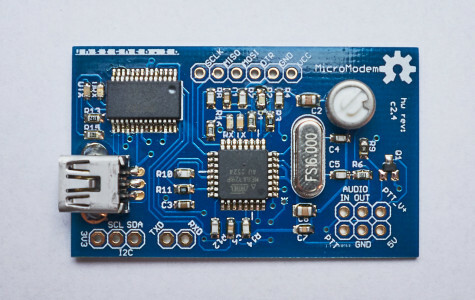 One MicroModem, hand-assembled, tested and flashed with the firmware of your choice. 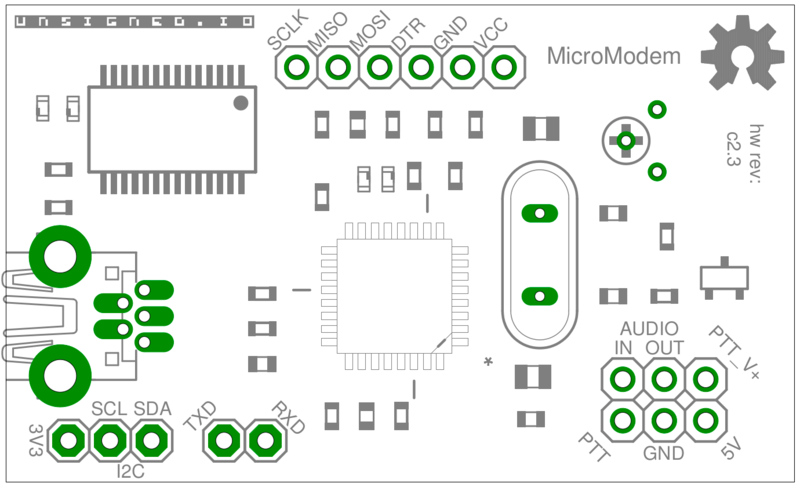 By default, I will ship it with MicroAPRS KISS firmware. If you want something else, let me know in the order comments! 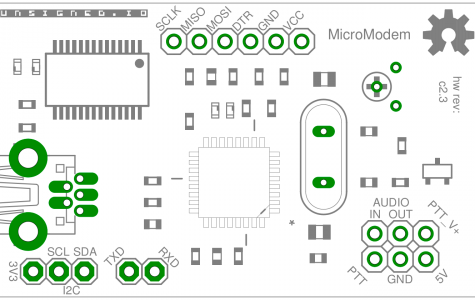 You can choose whether or not you want the modem with pin connector sockets. 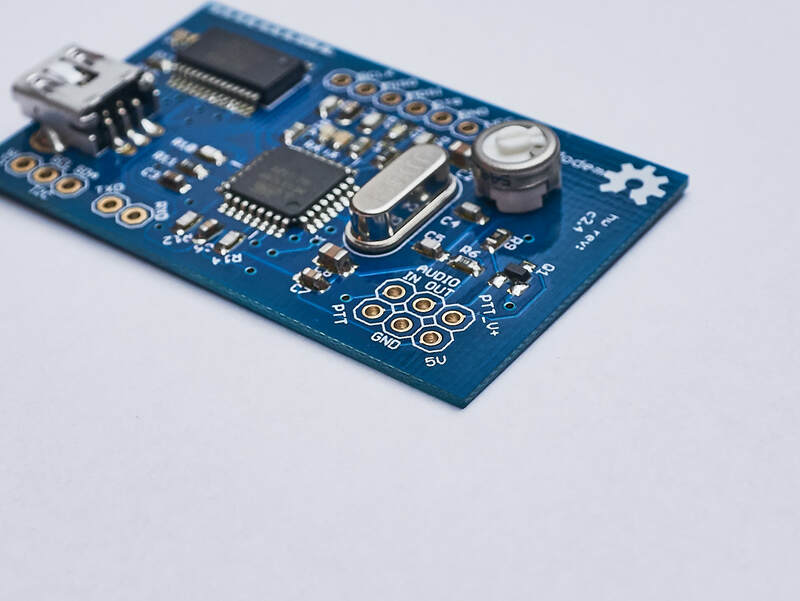 They come unsoldered to the board, so you can just solder on the ones you need. 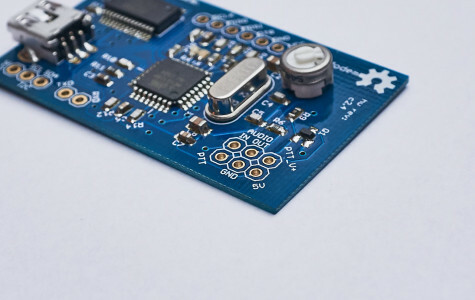 If you want to solder wires directly to the board, the version without connectors is great! 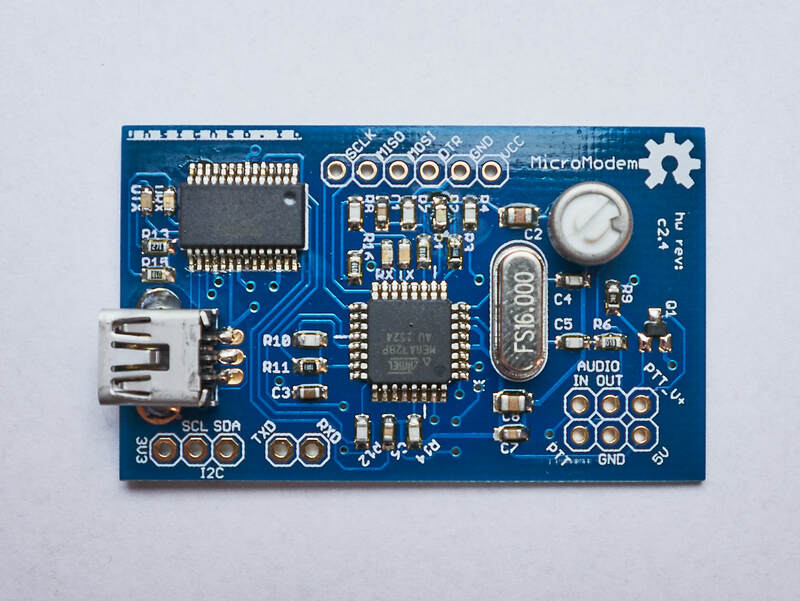 For user manual, firmware downloads, schematics and other resources, go to this page. 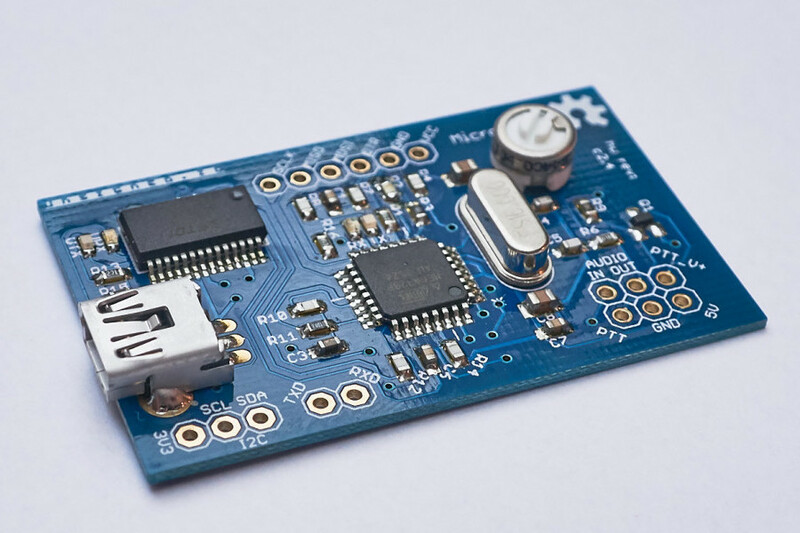 Flexible firmware support, use one of the provided firmwares, or create your own! 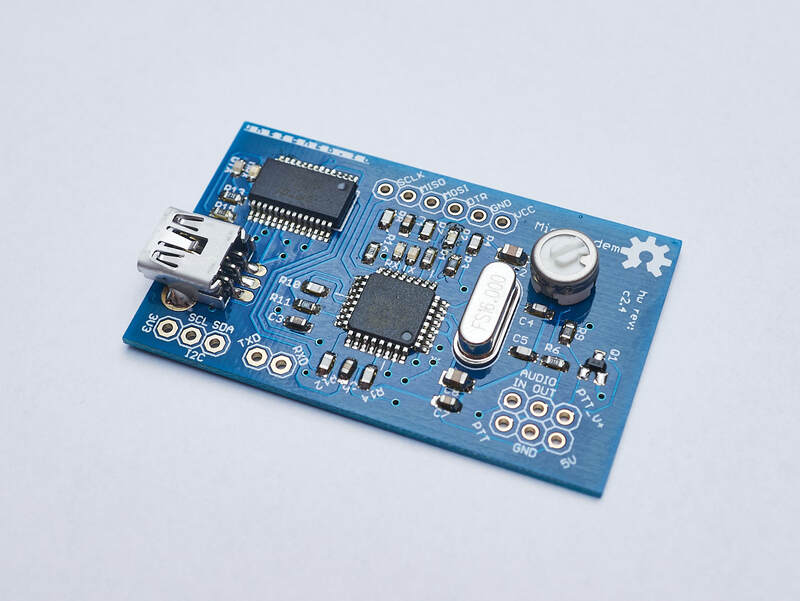 Arduino APRS library available, create your own APRS firmwares easily! 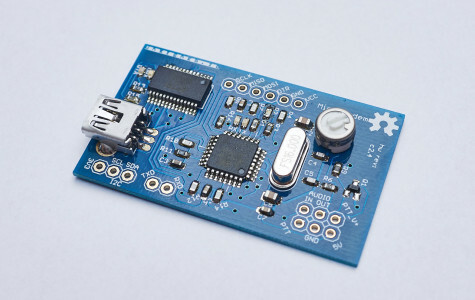 To easily program this board from the Arduino IDE, have a look at this page. (if you only want to decode APRS packet fields, you need “test-kiss-aprs.pl” only).